Flapper has an adjustable float on the chain to control flush volume. Slide float up to save water or down to increase flush volume. Premium red rubber resists chlorine and toilet tank cleaners. Five year guarantee. Push Button Tank Lever, Chrome, Especially for side-mount tanks, Fits most American Standard and Universal-Rundle brand toilets . JAG Plumbing Products strives to bring customers the best products in Canada and make them available on the best online shopping platform: Homedepot.ca - Owned and Operated in Ajax, Ontario, Canada, JAG PLUMBING prides itself on offering Home Depot Customers durable, high quality, non OEM replacement plumbing parts. Toilet Repairs Made Easy: Replacement Toilet Tank Flapper fits TOTO Toilets . JAG Plumbing Products strives to bring customers the best products in Canada and make them available on the best online shopping platform: Homedepot.ca - Owned and Operated in Ajax, Ontario, Canada, JAG PLUMBING prides itself on offering Home Depot Customers durable, high quality, non OEM replacement plumbing parts. 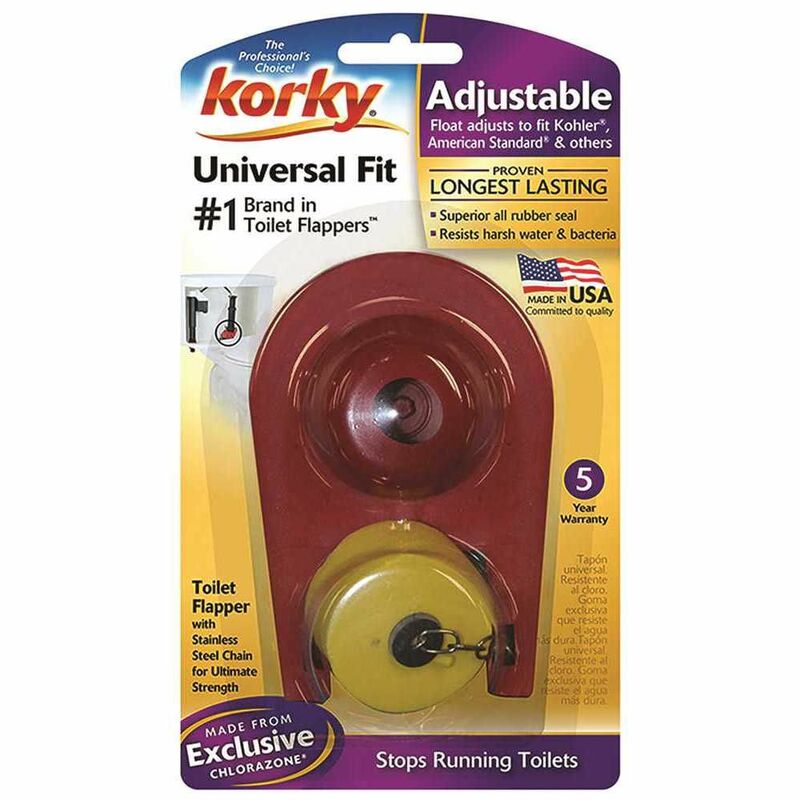 Repair your toilet quickly and easily: Replacement Toilet Tank flapper fits COAST or KOHLER toilets . JAG Plumbing Products strives to bring customers the best products in Canada and make them available on the best online shopping platform: Homedepot.ca - Owned and Operated in Ajax, Ontario, Canada, JAG PLUMBING prides itself on offering Home Depot Customers durable, high quality, non OEM replacement plumbing parts. Replacement Toilet Flapper fits COAST, Complete with Flow Adjuster inserts for various flow rates . JAG Plumbing Products strives to bring customers the best products in Canada and make them available on the best online shopping platform: Homedepot.ca - Owned and Operated in Ajax, Ontario, Canada, JAG PLUMBING prides itself on offering Home Depot Customers durable, high quality, non OEM replacement plumbing parts. Toilet Mizer Flapper Flapper has an adjustable float on the chain to control flush volume. Slide float up to save water or down to increase flush volume. Premium red rubber resists chlorine and toilet tank cleaners. Five year guarantee. Toilet Mizer Flapper is rated 4.1 out of 5 by 205. Rated 5 out of 5 by Glen from Worked as expected.... Worked as expected. Rated 5 out of 5 by Ermster06 from Worked like a champ. Put in on, a little fine... Worked like a champ. Put in on, a little fine tuning with the float and your good to go. Rated 4 out of 5 by HA from Tried with Kohler toilet/tank. Replacement was easy and it decreased... Tried with Kohler toilet/tank. Replacement was easy and it decreased the leak significantly but not 100%. Rated 5 out of 5 by Phil from very good product!... very good product!